“I have asked Secretary of State Mike Pompeo not to go to North Korea, at this time, because I feel we are not making sufficient progress with respect to the denuclearization of the Korean Peninsula,” Trump said on Twitter. But Trump — facing a slew of domestic problems and independent reports that North Korea has done little or nothing to roll back its nuclear program — vetoed the plan. 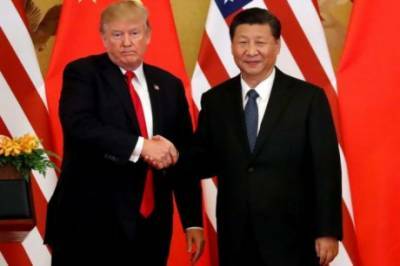 Trump also stepped up his rhetoric against China, which has grown harsher as November congressional elections approach, with the world’s top two economies now embroiled in an escalating trade war. “In the meantime I would like to send my warmest regards and respect to Chairman Kim. I look forward to seeing him soon!” Trump said. The trip would have been Pompeo’s fourth to North Korea, and the second since a historic summit on June 12 between Trump and Kim. Trump had previously claimed that he had “largely solved” the North Korea nuclear problem. Despite that bold claim, the UN’s International Atomic Energy Agency recently reported it had not seen any indication that nuclear activities in North Korea have stopped. “The continuation and further development of the DPRK’s nuclear program and related statements by the DPRK are a cause for grave concern,” said a report by the International Atomic Energy Agency (IAEA), referring to North Korea’s official name. “The Trump administration needs a ‘plan B’ to deal with the probability that Pyongyang is doing what it has done with every previous US administration: exploiting diplomacy and negotiations to buy time,” Revere said in a recent report.